Foster care is a temporary, court-ordered placement outside of a child’s own home. It can last anywhere from one night to a few years, depending on individual circumstances. Safety and permanency for our children are our primary focus. The biological parent is still the child’s legal guardian, but the Monroe County Department of Human Services becomes the legal custodian of the child until he or she can be returned home to a safe environment. Some foster children are freed for adoption when our best efforts to safely reunite them with their families are not successful. 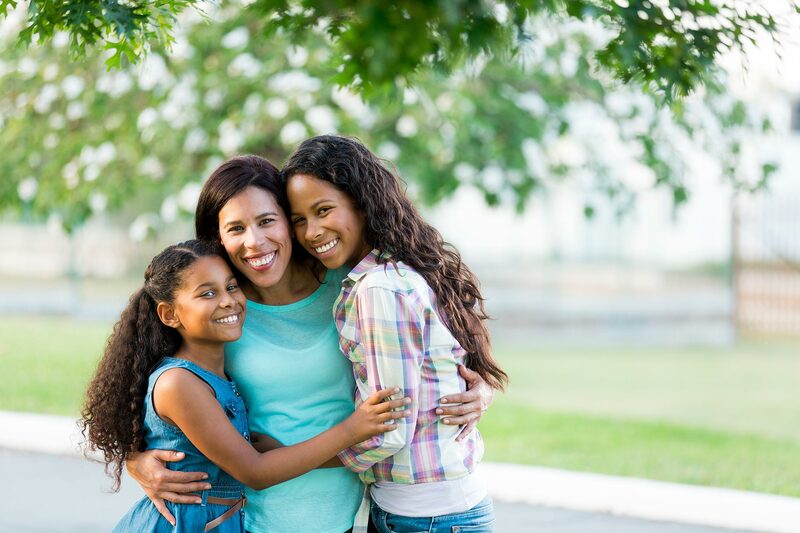 Some choose not to be adopted but to stay in foster care until they are ready to plan a transition into the community, which can be anywhere from age 18-21. Becoming a foster parent takes time, but is an interesting and rewarding journey. We work with you to make the process as easy as possible. The first step in the certification process is to call the Monroe County Homefinding Unit at (585) 753-6522 or the Foster Care Information Line at (585) 334-9096. Next, attend an information session near you. If interested, you may take an application at the meeting – complete it, with references, and return it to the County. Monroe County then completes a local child abuse clearance and if cleared, you will be contacted by phone from a caseworker to schedule a visit to your home. If you all agree that foster parenting may be for you, you will be enrolled in a 10-session training class called MAPP (Model Approach to Partnership in Parenting). Half-way through the class, a second home visit will be scheduled with your caseworker. You then continue and complete the training class at which time a final home visit will be made out to your home. After a mutual assessment of readiness, then your caseworker completes your home study and you’re certified to welcome children into your home. There are many children in our community (Monroe County, NY) who need safe, secure, loving homes. If you become a foster parent, you will have an opportunity to make a positive difference in the lives of these children today and in the future. The rewards are rich. You can be a foster parent whether you’re male or female, married or single, and rent or own a home or apartment. You must be a Monroe County, NY resident, and at least 21 years of age, but there is no maximum age limit as long as you’re healthy and able to actively parent a child. And you can be a foster parent even if you work outside of the home. Also, there is no minimum income requirement, but you are required to submit verification that your income meets your needs so you are not relying on the foster care stipend for financial support. If you have a love for children and a desire to make a difference, consider investing your time and energy in our community’s children. What is the age requirement to be a foster parent? You must be at least 21 years old, but there’s no upper age limit as long as you’re in good health and able to actively parent a foster child. Is education background important when considering foster parenting? Our foster parents have a wide variety of educational backgrounds. Some people with little formal education make wonderful foster parents. A home study is a written document which summarizes the content of your participation in a 10-session pre-certification training, and a minimum of three individual meetings with you and your family. This document focuses on your strengths and needs in skill areas such as your ability to manage behaviors, your ability to help a child with loss and separation, and to work in partnership with our staff and the child’s important attachment figures. Our caseworkers also examine the physical safety of your home and talk with you in great detail about your background, childhood, current living situation, ability to care for children, etc. The initial visit is conducted prior to beginning your training class, the second visit is approximately half way through your training, and the final visit occurs after you complete the training. A written assessment is undertaken after all pre-certification requirements have been met which include assessment of your skills, family history, an analysis of your home visits and MAPP Training. What constitutes the training program? The county’s training class is referred to as MAPP, or Model Approach to Partnerships in Parenting. It is comprised of ten 3-hour classes. It is mandatory that you attend all sessions. The majority of classes are offered during the week from 6:00 – 9:00 p.m. and one Saturday class is offered in the summer months, which runs from 9:00 a.m. – 12:00 p.m. Our foster parents generally love the training program. It is highly participatory and we use your own experiences as a backdrop for learning. Some folks form lasting bonds with other foster parents in their group. The first step in the certification process is to call the Foster Care Information Line at (585) 334-9096 or the Monroe County Homefinding Unit at (585) 753-6522. Next, attend an information session near you. If interested, you may take an application at the meeting – complete it, with references, and return it to the County. Monroe County then completes a local child abuse clearance and if cleared, you will be contacted by phone from a caseworker to schedule a visit to your home. If you all agree that foster parenting may be for you, you will be enrolled in a 10-session training class called MAPP (Model Approach to Partnership in Parenting). Half-way through the class, a second home visit will be scheduled with your caseworker. You then continue and complete the training class at which time a final home visit will be made out to your home. Your caseworker then completes your home study and you’re certified to welcome children into your home. What support and/or training is available for foster parents? Each year, foster parents are required to attend a minimum of six hours of training. One Saturday a year we offer a regional training and luncheon which allows you to connect with a lot of other foster parents and learn about a wide variety of topics. You will also have your own homefinding caseworker. He/she is your advocate and is there to support you, hear you out, and intervene in situations when necessary. Are two applications necessary for a married couple? No, only one application per couple is necessary. Is fingerprinting of non-primary caregivers in the home, who are over 18, necessary? Yes, it is mandatory to fingerprint all adults 18 and over, who are living in the home, including college students. Is a 1-bedroom apartment acceptable for foster parenting? Although an infant may be placed in the same bedroom with an adult, in general it is difficult to certify a foster home that has only one bedroom. We are often unsure of the length of stays for our foster children, and a child placed as an infant in your home will soon require another bedroom. What medically disqualifies one from becoming a foster parent? All medical issues are assessed on a case by case basis. Many foster parents have different medical conditions, but are still certified to become foster parents. Our determination is based on a medical form which is submitted to your doctor. You will need to have a physical and a doctor’s signature attesting to your overall health and fitness to care for children. Can I become a foster parent if I work evening hours? We cannot generally certify a single parent home when that parent works an evening shift. Parental presence in the evening is crucial for bonding and togetherness with your foster children. The comfort of receiving consistent evening meals and developing bedtime rituals with you and your foster child is very important. It is acceptable if you are a two-parent family and one parent is home while the other is working. Can you be certified to offer respite care as opposed to ongoing foster parenting? We do not have respite care homes, only emergency foster homes. Most of the foster homes that offer emergency care are comprised of seasoned foster parents. This is because as an emergency foster parent, you cannot choose which child to accept, but must take whoever is in need. How does my income affect certification? Every foster parent needs to have enough income to support themselves and their family. The source of income does not generally matter, but must be verified. If you are employed, an employer’s reference will be requested. When do I get my fingerprints taken? A caseworker will bring fingerprinting cards for all adults over 18 in your family at her/his first visit with you. You will need to go downtown to the Public Safety building to be fingerprinted. There is no cost to you. Do you share what you know about a child with the foster parent? Our workers share all available information about each foster child at the time of placement. This amount of information will vary depending on whether the child is new to the Monroe County foster care system or has been with us for awhile. Our caseworkers will bring any new information to you as soon as it is available. As foster parents, you have a need to have as much background information as possible so you can be better attuned to the needs of your child. Are cross cultural placements made? Yes. We always try to place children in homes that best meet their needs. This includes looking at the strengths of the foster parents and their ability to deal with the specific challenges and strengths that each child brings. Sometimes placing a child in a same race home best meets their needs. At other times a home of a different race might best meet their needs. We are always looking at how to offer a child a home that will best enhance their emotional, behavioral, educational and cultural development. Child abuse and neglect are the main reasons children come into foster care. What is the average length of stay of a foster child? On average, 50% of foster children return home or to a suitable relative within a couple of months. Beyond that it varies, with the average length of stay being around 2 years. Is it true that we should only accept foster children younger than our own children? There is no specific rule for what is the best age child for each family to foster. We hope that you have ongoing discussions with your own children to help determine what feels right for them, and combine that with your own preferences and affinities in order to arrive at a decision. Do foster children have to change school districts? Yes, typically foster children attend school in their foster parents’ district. However, if a foster child is placed in foster care from the Rochester City School District into a foster home within the District, he/she could possibly stay at the same school. Also, a foster child can attend a private school although the county cannot pay for private schooling (occasionally a foster parent has taken on that responsibility themselves, voluntarily). Foster children cannot be home schooled. The transition of foster child to foster parent varies. In most instances the worker brings the child to the foster parent home; occasionally the foster parent picks the child up at the agency, or hospital, when this is most appropriate. Foster parents would never be asked to pick the child up from the birth parents home. Do foster children ever become available for adoption? Many of our foster children eventually become freed for adoption, and of those children 90% are adopted by their foster parents. We really do not know which of our foster children may go on to become adoptable, nor do we try to predict it as many variables can impact the outcome. Our first goal is always to reunite a child with their birth families or other suitable family members. When this is not possible, a child may become freed for adoption through Family Court. We always have children who are awaiting adoption and can refer you to our adoption unit. What is the board rate? The current board rate is $17.10/day for infants and toddlers up to age 5, $20.56/day for children ages 6 through 11, and $23.83/day for children ages 12 to 20. Some children qualify for higher board rates based on special needs resulting from physical, behavioral, or emotional challenges. Foster parents also receive a semi-annual clothing allowance and Medicaid coverage for all foster children in the home. Foster parents who care for children up to age four also receive a diaper allowance and can apply for WIC benefits to provide formula for infants. Are day care costs covered for foster children? Yes, the Monroe County Department of Human Services will cover day care costs for your foster child(ren) if you are employed outside of the home. Your foster child(ren) can attend any of the centers or family day care homes that are certified to care for foster children (a list can be obtained from the county). What type of medical coverage is available for foster children? Medical bills and therapy for foster children are covered. One of our foster care caseworkers will facilitate this process to make it easier on you. Also, all foster children must go to Starlight Pediatrics located at 111 Westfall Road. The team of professionals there is highly skilled in working with the foster care population and provide incredible care for these special children. Should you ever adopt a child, he/she may then begin seeing your own pediatrician. Can I travel and take vacations with foster children? We encourage foster parents to take vacations with their foster children – many of these children have not had an opportunity to travel outside of Rochester and benefit greatly from vacations with foster families. However, you must always notify your caseworker when you plan to go out of town so we can make a good plan for the child. This includes securing needed permissions if you wish to take the child with you, or finding a suitable foster home for the child to stay until you return. Can I have a babysitter for foster children? Yes. We recognize that you will want to enjoy an afternoon or evening out from time to time, for errands or recreation. Any babysitter, for such purposes, must be a minimum of 18 years of age. We ask that you use your good judgment in choosing a suitable adult who can appropriately care for your foster children. Should the need for overnight care arise, you must notify your caseworker, who will arrange for a certified foster home to care for the child. How does transportation of foster children to appointments work? 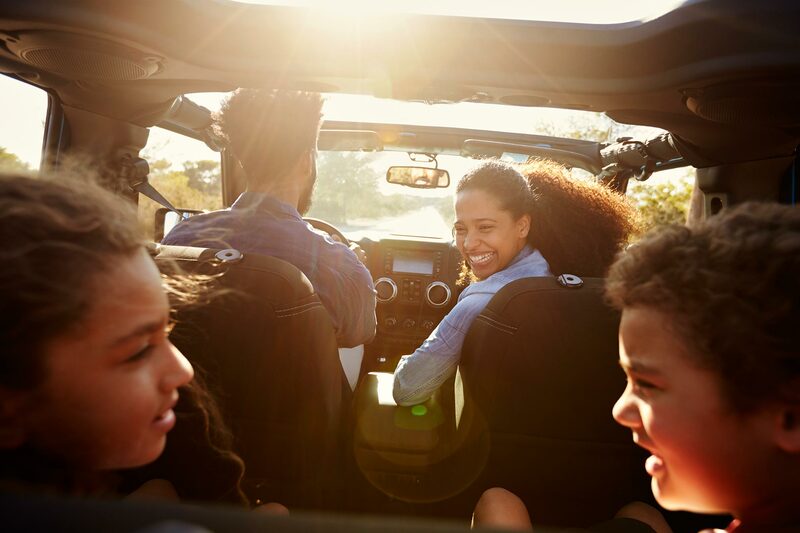 We strongly encourage foster parents to transport foster children to appointments and to visits with their parents (mileage reimbursement is available). Is documentation of purchases for foster children, such as clothes, necessary? Yes, you must keep documentation of all purchases so your caseworker can use them for reconciliation purposes. ·Emergency – when there is a death in the family; emergency surgery; etc. ·Planned – meant to sustain placement in a foster home when the demands of parenting a particular child are such that the foster parent needs a short break. What support is available from Monroe County after a child is removed from the foster home, such as help dealing with the loss and transition? Foster parents have a homefinding caseworker and a caseworker working with each child who encourage and support them through the situation. There is also extensive training offered to foster parents, including offerings related to dealing with loss, transition, etc. Is it possible for a foster parent to be out of town (for work) one night, two nights, and sometimes 1-2 weeks a month? 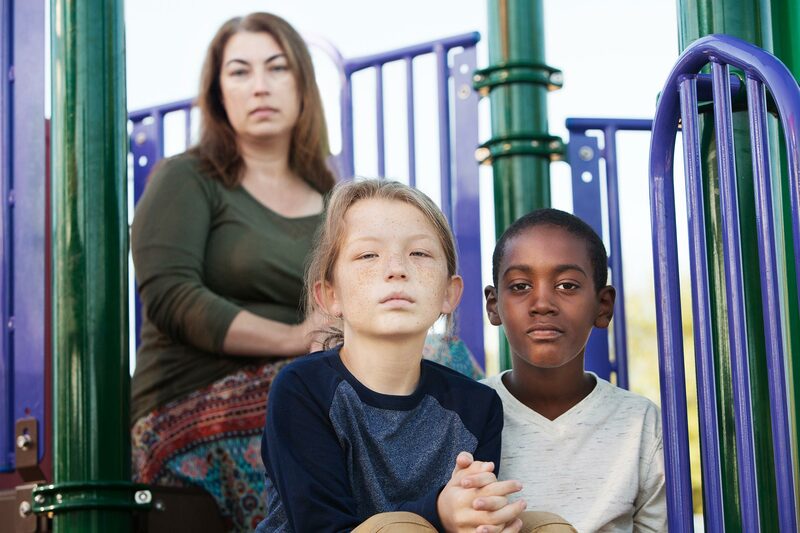 It is not in the best interests of a foster child to have their primary caretaker out of town overnight on any regular basis, particularly since that usually necessitates a move to another certified foster home until the foster parent returns. Our children’s needs demand as much available time from the foster parent(s) as possible. We do look at every situation on a case-by-case basis, but the needs of the child must come first over the schedule of a foster parent. Trewlaney McCoy has been a foster parent since 2000, and she is proof that one woman can do it all. Trewlaney was a single mother with one daughter when she got involved, and since she started she has adopted 7 children - two sibling groups - from foster care. “I think once I meet the children, I fall in love with them right then and there,” she says. She has taught her children the importance in helping each other. There is a 10 year difference between her oldest and youngest, so the older children look after their younger siblings and the entire family works as a team. Trewlaney's story has been inspirational for many people. In fact, she was named one of four finalists in ABC's Live with Kelly and Michael's "Unstoppable Moms" contest in 2013. Her hard work and dedication to her family is truly inspiring. Pauline has been a foster parent for seven years; in that time she has fostered 14 kids and adopted 3 of them. Many of those kids were given shelter and protection by Pauline from homophobic and harmful environments. Wanda and Eddie Rivera have been licensed foster parents since 1981. The Riveras have 2 biological children and 4 adopted children. They absolutely love being foster parents. The Riveras have found a great balance in their home. Their children vary in age, so the older kids help with the younger children. The Rivera's favorite part of foster parenting is seeing the growth and development of the children in their care. The couple is always willing to take in new foster children, even when their house is full. Wanda says that she would do anything to ensure a child has a home. They know how very important it is that every child has a safe and loving home. Although their children know that they are adopted, that does not change the incredibly strong family bond that is felt inside the Rivera household. Wanda says, "Once they enter our home, they're part of our family." Melanie has been a foster parent since 1996. In her 22 years of being a foster parent, Melanie has provided shelter to dozens of children — taking each child in for days, weeks, months, or even years at a time. As a testament to her dedication, Melanie (a single mother) has adopted 7 of the children she has fostered over the years.